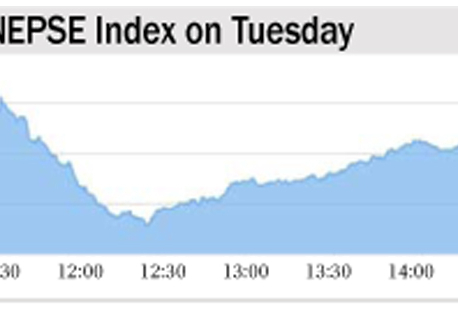 KATHMANDU, May 20: Nepal Stock Exchange (Nepse) declined shed 15.36 points this week to close at 1,643.87 points on Thursday - the last trading day of the week. Though the country successfully held local level election on Sunday, it seems to have failed to encourage investors. Investors had expected more liquidity after the elections, expecting that the spending by both the government and the political parties will pump more money into the market. But they behaved differently post-election. 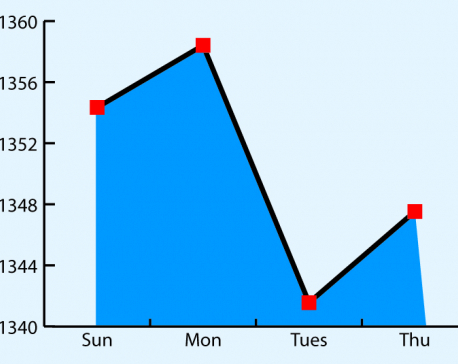 “Investors chose to book profits this week which pushed the market marginally down. 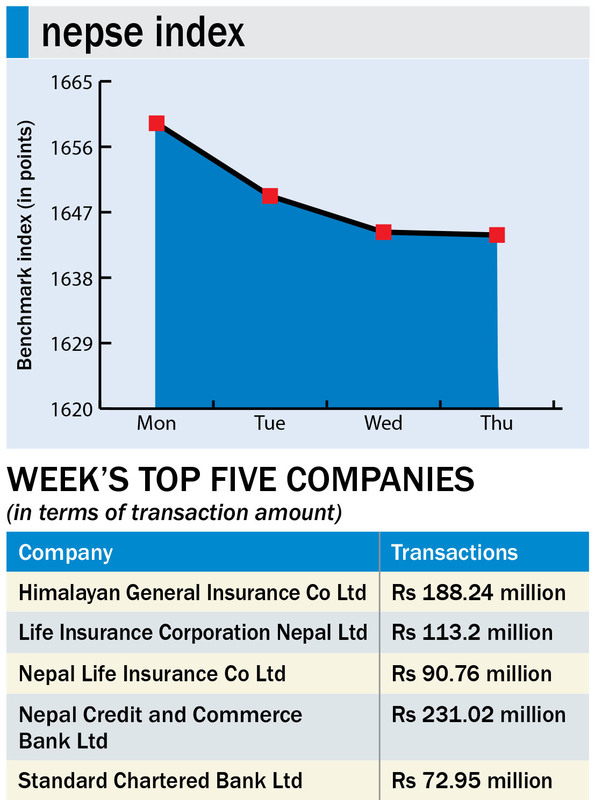 But the benchmark was fairly stable with no major fluctuation like in the past weeks,” Anjan Raj Paudel, a former chairman of stock Brokers Association Nepal, said. He further added that uncertainty surrounding the budget for the coming fiscal year has dampened investors' confidence. “They also have doubts about the second phase of local level elections in remaining four provinces,” Paudel added. A total of 8.3 million units of shares worth Rs 2.58 billion were traded in the market this week through 18,428 transactions. Total weekly turnover was down by 7.91 percent, from previous week's Rs 2.80 billion. Manufacturing and Hotels sub-indices gained 98.64 and 22.98 points, respectively, this week, while 'Others' sub-index logged gains of 1.73 points. The sub-indices of Insurance and Commercial Bank fell by 43.48 and 25.9 points, respectively. Likewise, Hydropower, Finance and Development Bank groups saw their sub-indices go down by 14.78, 2.69 and 2.24 points, respectively. Trading sub-index remained unchanged this week. Himalayan General Insurance topped the list of companies in terms of turnover amount, while NIBL Samriddhi Fund finished at the top in terms of number of shares traded (1.68 million) units. Likewise, Arun Kabeli Power Ltd was at the top in terms of number of transactions (959 transactions).